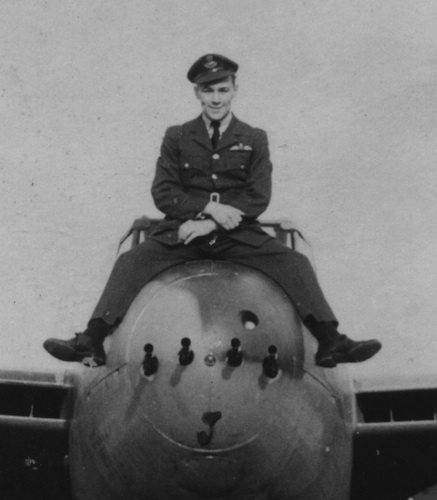 The People’s Mosquito is delighted to announce that former Mosquito pilot George Stewart has accepted an invitation to be come a TPM Affiliate. George, a Canadian, flew 50 Ops on Mosquito with No 23 Squadron between July-November 1944 – all by the time he was 21. After the war George spent time in China training Chinese Nationalist Air Force pilots on the aircraft in an effort to reduce their frightening loss of pilots to accidents. Both his unsurpassable knowledge of flying the Mosquito and his unquenchable enthusiasm for it will be of the utmost value to The People’s Mosquito as we move forward. Already over the last eighteen months he has given invaluable advice to both the Kiwi and US pilots who have flown KA114, which they have all used to good effect. Not only is George a great pilot, he is also a poet. 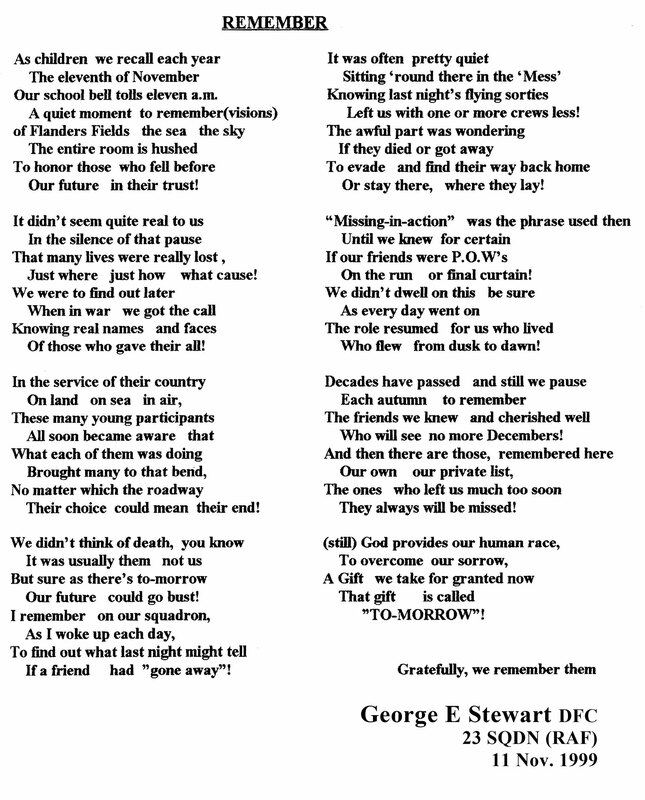 His poem “Remember”, we think, sums up why we are all doing this.